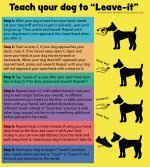 Dog Barking Control for Resource Guarding will help you find solutions to help stop dog growling and barking to defend his food, territory, owner, etc. Even though the program has many steps, with patience you can accomplish a lot with your pet. Guarding could be a type of aggressive dog behavior, so I highly recommend you get the help of a professional and certified pet dog trainer. This guide will get you started and if your problem is not too advanced and you work diligently you could be able to solve it on your own. Otherwise a good trainer will help you along safely. It is important to understand that even if you see progress in your dog's behavior, a reactive dog will always be a reactive dog. You must always stay alert because he may become aggressive again in certain circumstances. If you think your canine friend barks for other reasons (excitement, fear, boredom, etc) visit the Barking Dog main page for more help. Resource guarding can be mild or very intense. If you have never done any obedience training with your pet, the list below will help you catch up on basic things you and your pooch NEED to know. Don't despair if the list looks long, you will actually start seeing good changes in your canine friend as you move down the "to do" list. Your first task is to relax. You are probably feeling frustrated and a little bit scared, but there are many tools and techniques that can help you with. You should probably help your pet relax too, canine massage and exercise are good choices to start your dog barking control program. Your second task is to learn how to be a confident leader. This is not a competition about dominance. Your hound feels stressed and threatened, he is by no means trying to be "dominant". By showing your pet that you are a good care-giver, you will be one step ahead of the game. Read this article for more information on this. And never take away your dog's food or toy just to show him who is the boss! This will only make him distrust you (and it could trigger aggressive dog behavior). Your third task is to learn about canine body language. This is going to be key in interpreting your dog's internal emotions before he has to resort to obvious aggressive dog behaviors like barking, growling, snapping or even biting. Follow the link and read ALL 4 articles (which have tons of pictures), then start you can start the dog barking control program by paying attention and understanding to your furry friend. Your forth task is to understand how dogs learn. This is important because you will need to teach your pooch many things, understanding the principles of learning will make this task easier. Read about classical conditioning and operant conditioning. 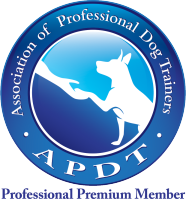 Your fifth task is to learn and teach your pet Clicker training and Target training. These two techniques are the most efficient ones when dealing with a potentially dangerous dog, and in truth…they are the most efficient techniques to teach any dog anything! You can even start practicing with your pet by teaching him basic commands. This will also help you become an expert in training before you tackle the complicated dog barking control for resource guarding program. Done? I know it is a lot of reading and learning and practicing. It is worth it and you are on your way to dog barking control. Actually, just by implementing everything mentioned above you will see many good changes in your hound. This is an excellent book that will teach you how to use the clicker to help with dog barking control for resource guarding and other types of aggression as well. This book is a great resource to help your reactive dog. It is written by dog trainer expert Jean Donaldson in way that enables everyone to apply these positive methods. 1- Consult a certified trainer. I have to say this again, if you think your dog might bite you or someone else please contact a certified pet dog trainer. You want the whole process to be safe for everyone and one-on-one help is the best way to do so. Always look for a positive dog trainer. If your pet refuses to get off your bed, keep your bedroom door closed until you are at a level of training at which you can safely remove your pet on command. Take away all toys, objects or food items that you know your hound has been guarding. You and your pet will work together so that at some point those items can come back, but only when it is safe and you can take them away from your hound without any aggressive reaction from him. 2- Systematic desensitization and Counterconditioning are the techniques you will be using. The main techniques you will use are called Systematic desensitization and Counterconditioning. Read the articles to get yourself very familiar with these two concepts. They are long and difficult words, but the techniques themselves are fairly simple to follow, although practice is required. You will combine them together to achieve dog barking control for resource guarding. Systematic desensitization: This is mostly used for fearful dogs, but it works very well for guard barking too (since guarding is most often another way to express fear and stress). The idea is to present your puppy with an item that he might guard but at a "level" at which he won't show any aggressive dog behaviors. For example, if your dog is growling when he is eating from his food bowl you might want to start the exercises with an empty food bowl. You will then escalate the difficulty of the task, but at each step the dog MUST NOT show guarding reactions. It is very important to plan the steps very carefully and if at any point you see any dog growling or barking, then you immediately go back to a previous step. This is why management is so important, you don't want anything laying around that might set your pet back. Counterconditioning: This is the same principle as classical conditioning. The difference is that in this case your canine friend already has an association (a bad one) with the cue. In the case of resource guarding dogs, the animal reacts fearfully when someone approaches his food, location, etc. The idea is to change that association into a good one. In the end your pet should be happy (instead of fearful) when somebody approaches his bowl, crate, toy, etc. The way to do this is by giving your hound a reward every time you approach, for example, his food bowl. It is very important that the reward you are giving to your pet is of a very HIGH value and that it ONLY comes when doing these exercises. 4- Training should be done with every family member and even friends. You will start training yourself, but eventually you will need the assistance of friends and family to do the same things you did. The idea is to teach your pet that he can't bark, growl or snap at ANYONE. This needs to be trained though, your dog will not assume this is the case if he has only practiced with you! For a sample of how to plan a training program click on the examples below. What are the Types of Resource Guarding? 1- Location or territorial guarding: In this case canines might guard their crate, a couch, a bed, the car, the house (barking at every passerby). This type of guarding could be aimed at certain family members but not others. 2- Dog food aggression: You will see the dog growling, barking or even snapping at anyone (person, dog or cat) approaching his food bowl, rawhide or some other type of food he stole. 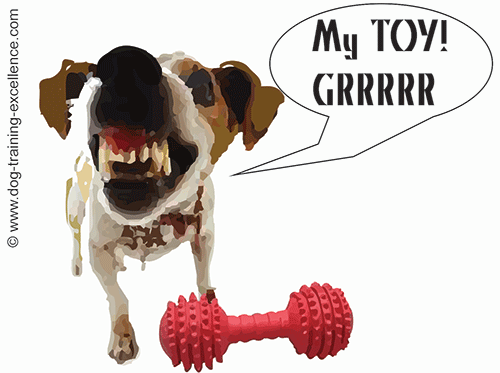 3- Dog aggression over toys: there will be some aggressive dog behavior displays when someone approaches the hound while he is with a toy, toilet paper or laundry he stole, and other objects. 4- Owner guarding: the dog will bark and growl at anyone (person or dog) approaching his owner. Some owners refer to this as "My dog is very jealous". Your dog might fall in any of these categories or he might even guard some other items not mentions here. Regardless of what your furry best friend barks to protect the methods to achieve dog barking control are the same, see the examples above for detailed instructions. If you have any questions, fill out the form in this link. I will need as much detail as possible. You must write at least 150 words. 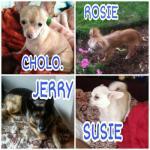 Pictures of your pet "in the act" are extremely useful to help me help you find the best solution to your problem! You can also leave your thoughts and comments below.